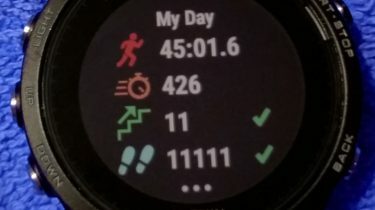 This My Day screen is the only picture I took of my Forerunner 935, to capture the stairs- and stepcount consisting of all 1’s at that moment. If I had planned a review of this device there would have been a whole gallery. 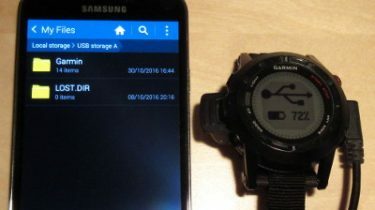 Finally, you can use the Connect Mobile app with your Garmin Fenix or other wearable, without having to upload your data. This popular optical armband-heartrate monitor is very good in all respects, it is just a bit too enthusiastic. 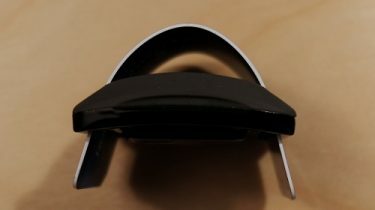 The on/off switch is beneath the rubber surface, and it doesn’t take much pressure to activate it. 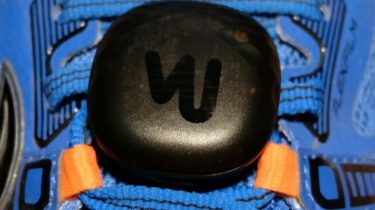 All good when you actually want to switch it on, but not when it is in a gym bag or in a pocket. 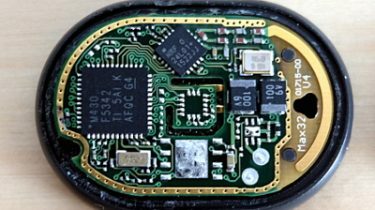 It was a hot day, but how hot was a guess, because there was no reading from the Garmin Tempe sensor. Probably an empty battery. But after replacing that, it was empty again in a few hours. Was it a bad battery? Let’s try another. But that one was also depleted in no time. The Milestone Pod is an affordable foot pod that displays various advanced running dynamics parameters in the Milestone app. There may be much debate about the usefulness -or not- of advanced running dynamics, but let’s just say more data is more fun. Update: This article is outdated. 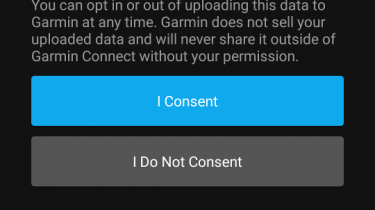 The Garmin Connect Mobile app now (February 2018) requests your consent to upload your data. It is not necessary anymore to use the options below. This page is here for reference. Normally the Fenix 3 firmware is updated via Garmin Express, so Linux users have to update otherwise. 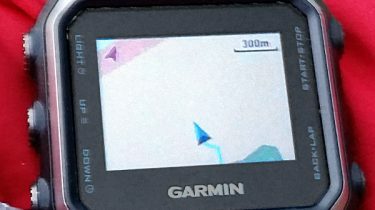 Garmin lauched the Fenix 3 and the Epix at the same time. The Epix was the top of the line; everything the Fenix 3 had, but with navigation and maps in color. That was in early 2015. The Fenix 3 received bug fixes and new functionality with every update, while the Epix was almost never updated and still has lots of bugs. What happened? The Powertap Powercal is a heart rate monitor belt with clever software in it that calculates power from heartrate. 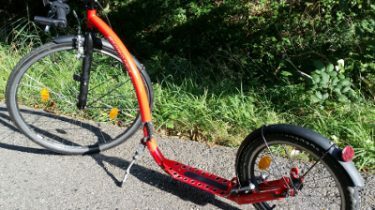 It doesn’t need fitting to pedals or crank, so you can use it on multiple bikes, even on footbikes and elliptical trainers. The USB access to Fenix GPS watches makes it really easy to view activities and tracks on a laptop: just plug in the USB cable and you’re done. But on a phone it requires something extra: a powered USB hub. Fortunately, there are very small ones around.